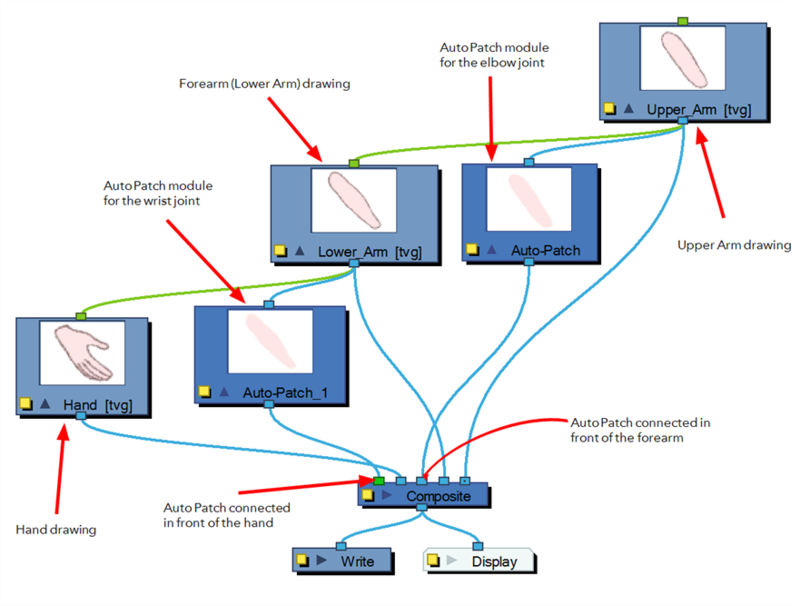 The Auto Patch module is used mainly when creating joint patches for cut-out puppet drawn with pencil lines and painted in the Colour Art layer. Instead of removing a portion of the outline to attempt to create a seamless joint, you can draw complete pieces and with the Auto Patch module, automatically create a perfect articulation. Pencil lines are central vector lines. 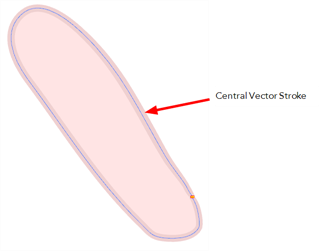 The vector is located along the centre of the line. This means that when you paint a zone delimited by a pencil line, the colour fill will expand to the centre of the pencil line. When using the regular patch technique, recommended for the brush line, the result with pencil lines is very odd looking because the colour fill zone is bigger than the pencil line inner contour. 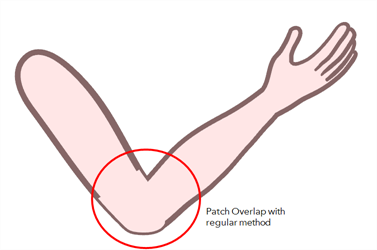 Instead of using the regular patch method, you can use the Auto Patch module. It will automatically extract the Colour Art and clip it to the right size. Then, you can connect it in front of the piece to be covered. The network connection for the Auto Patch is quite simple. Once your basic character rigging is done, you can add the Auto Patch module to the joints you want to cover. There is no need to set any parameter.